A quick lunchtime post today of a Mixed Media canvas I created a short while ago. 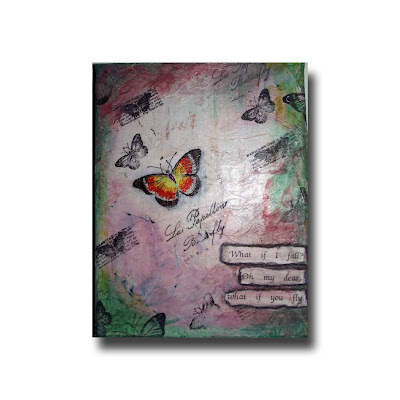 Stamped tissue paper on canvas. Painted and stamped again and coloured with Copics. Not sure who to credit with the sentiment, but it is one I really like. This was great fun to work on and I recommend the process to anyone wanting to try mixed media. Go for it ! Thanks for stopping by and reading my posts. Your time and comments are greatly appreciated.